For over 50 years, Bigsby Vibratos have been adding the expression that turns good songs into great ones. Original equipment on many of the world’s best selling instruments. 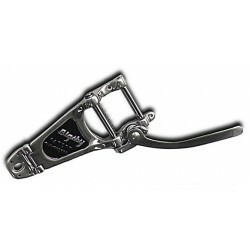 Just a few of the companies currently using Bigsby include Gibson®, Epiphone®, Fender®, Gretsch®, Paul Reed Smith®, Squier®, Schecter®, Taylor®, ESP® and many, many more!